They’re calling the Lift eFoil a flying surfboard, and that’s more or less accurate. Technically, what they’re offering is a hydrofoil, a board featuring a winged keel underneath with a motor attached. Those wings — which you’d readily see on an America’s Cup boat — help surfers glide through the water at speeds of 25 miles an hour. The lithium ion battery is good for about an hour and charges like a laptop. It’s not limited to the ocean. It’ll cruise through lakes and rivers and cut through choppy waters like a knife. 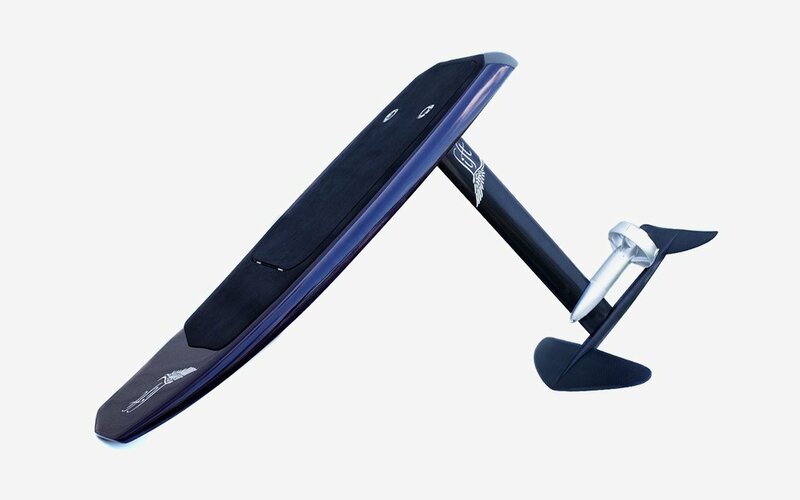 They’re pre-selling them as the full eFoil, but you can also buy the keel to add to your standup paddleboard or surfboard. Summer will be here sooner than you think.